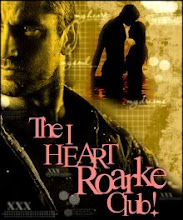 Cozy, Mystery Thriller and Romantic Suspense Mail is hosted every Saturday at Mystery Thrillers and Romantic Suspense Reviews. I received this in the mail this week. 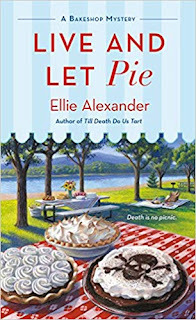 Ellie Alexander's Live and Let Pie is the most delicious installment yet in the fantastic Bakeshop Mysteries set in Ashland, OR! The heat is on for pastry chef, family business operator, and unlikely sleuth Jules Capshaw. Just when she thought she could enjoy some time away from the kitchen, Jules manages to discover a skull during a picnic by the lake. As if unearthing remains that may be connected to a missing-persons case from the 1960s isn’t enough on her plate, Jules must contend with the unsolved matter of her own marriage while her estranged husband Carlos sails the open seas, awaiting a verdict. Then there’s Jules’s bitter landlord Edgar, who is intent on making a sweet deal on a vacant lot down the block from Torte ― until he turns up dead. If only Jules could find a recipe that would let her bake her cake and eat it, too.